You can order this lamp with or without the cover glass. 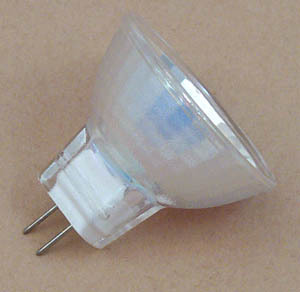 To order with cover glass go to Q5MR11/12V/CG/G4. Cross reference information is designed to help you find the correct lamp need for your application. We do not verify the accuracy of this information. You are responsible for ordering the correct lamp and we make every attempt to help you in that process. We recommend that you confirm the information with the equipment manufacturer before ordering.